Yaniv joined the school in 2016 as a Lecturer in the Politics of the Middle East. Before joining the school, he was a Leverhulme Early Career Fellow at the School of Social and Political Science, University of Edinburgh. His current research project focuses on the nature of post-colonial liberation wars. He is the author of The Kurdish Liberation Movement in Iraq: From Insurgency to Statehood, which was published in 2014. His articles have appeared in such journal as International Affairs, International Journal of Middle East Studies and Democratization. 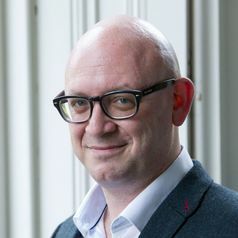 Yaniv received his PhD from the London School of Economics and Political Science, where he also taught courses in the International Relations and the International History Departments. His research won the LSE Emirates Scholarship Award, granted by the LSE Middle East Centre. Yaniv’s research broadly concerns the geopolitics of the Middle East, the foreign policies of Middle Eastern states, separatism/liberation, insurgency and the role of ideas, ideology and practices in shaping international politics. His current book manuscript examines the impact of colonial-era legacies and practices on the strategies of the liberation movements and the governments involved in these wars, focusing on the liberation wars in Iraqi Kurdistan and Southern Sudan. He is also working on projects that examine the nature of counterinsurgency and the idea of moderation in international politics. His previous book, The Kurdish Liberation Movement in Iraq: From Insurgency to Statehood, which is based on his doctoral research, has used the case of the Kurdistan Regional Government in Iraq to examine the development and policies of de facto states.